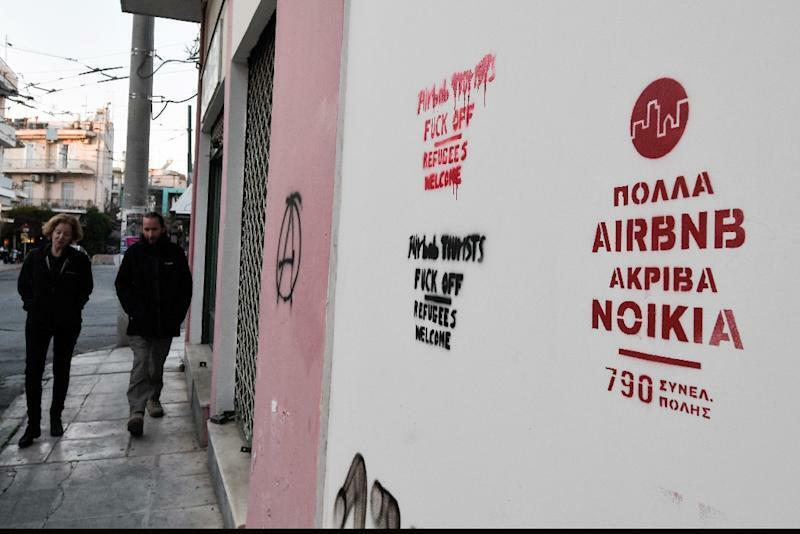 Athens (AFP) - For Dimitra Dionysopoulou, who lives in the shadow of the Acropolis, there is no mistaking the signs of the Airbnb takeover in her neighbourhood. "Renovation noise, debris disposal bins on every street, and rolling luggage," said the 50-year-old Athenian mother. Dionysopoulou has lived her entire life in the middle-class district of Koukaki, now in the midst of a home-sharing frenzy. In 2016, it was named Airbnb's fifth fastest growing neighbourhood globally with an 800-percent jump in activity. Its selling point? Walking distance from one of the world's most visited archaeological sites, as well as the state-of-the-art Acropolis museum. Hundreds of apartments in Koukaki's ageing concrete buildings are now on offer. Rents have doubled and entire families of tenants have been pushed out by cash-hungry owners, said Dionysopoulou. "Three families I know have already left, and we are currently trying to find a home for a fourth," she told AFP. Greece is the eurozone country hardest hit by the 2008 economic crisis, losing around a quarter of its gross domestic product, suffering a surge in unemployment and a severe debt crisis that prompted bailouts from the EU and the IMF as wages stagnated and housing prices fell. Dionysopoulou is not alone in feeling that the Airbnb phenomenon, as in other major cities, has run amok. Greek authorities this year belatedly introduced registration and tax rules for Airbnb homeowners. According to Angelos Skiadas, head of Greece's tenant association, the home-sharing craze has even spread to far-off Athens suburbs with no tourist interest. "Homeowners think this is a cure-all that will solve their problems for life. Many use Airbnb as a threat (to raise the rent)," he said. The shortage is particularly acute on popular islands where visiting civil servants, teachers and university students are unable to find affordable housing beyond May, when the tourist season begins to pick up, Skiadas noted. "It's a bubble," he said, before adding: "Things will balance out." Hoteliers also say the situation is out of control. Their trade association commissioned a study from Grant Thornton that found that more than 76,000 properties in Greece were available on home-sharing platforms. 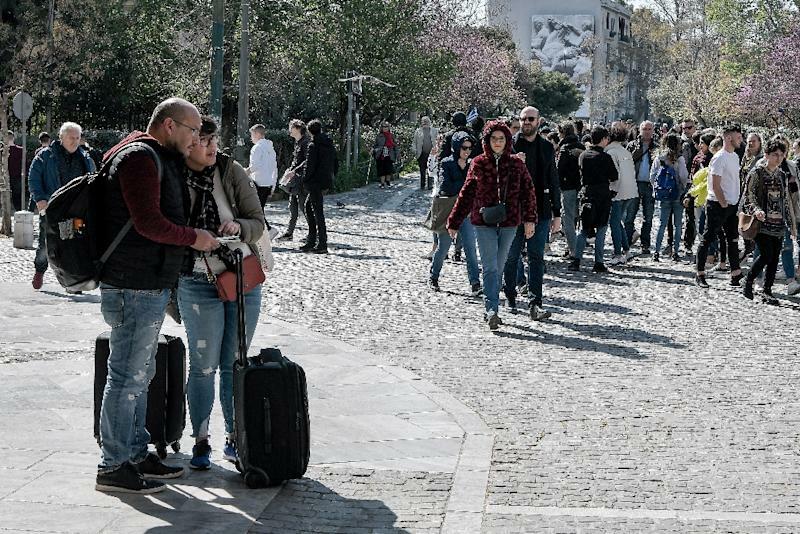 The study argued that declining availability had pushed up rents in central Athens by 9.3 percent in a year, disproportionately affecting poorer segments of the population such as pensioners and single-parent families. In a sign that Koukaki has reached saturation point, the government this month moved to halt the construction of a nearly completed nine-floor hotel with a stellar view of the Parthenon. Opinions on home-sharing could not be more divided. Stratos Paradias, head of the Greek homeowners' association, counters that home-sharing -- with Airbnb as the main player -- has helped bring the country's real estate market "back from the dead". Between 2008 and 2017, home prices fell by over 40 percent and only began increasing last year, Bank of Greece figures show. "Home-sharing is an institution that's here to stay... It creates jobs and revenue for people, many of whom have no other option for paying their taxes and debts," said Paradias, whose association has some 55,000 members. "This activity has boosted tourism (and) made it affordable for more people to visit... Hotels can't meet the demand," he added, arguing that because of the crisis, there were "tens of thousands" of idle properties. 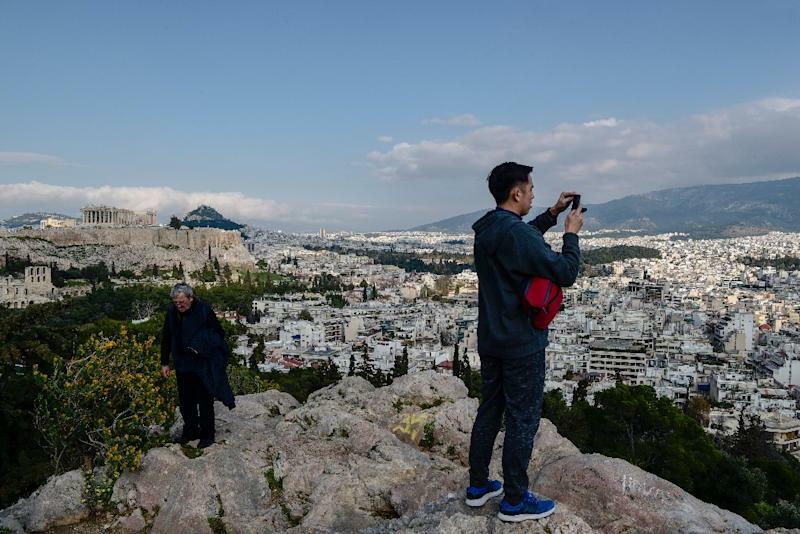 According to Airbnb data, there are over 8,000 apartments for rent in central Athens alone, at an average of 67 euros per night, including some 1,200 flats in districts close to the Acropolis. About half are multi-listings by owners with more than one property online, said Airbnb. Among them are a few hundred foreigners -- mainly Chinese, Russians and Israelis -- who tapped into a "golden visa" programme launched in 2013 that gives them residency rights in exchange for property purchases over 250,000 euros ($285,000), according to Lefteris Potamianos, head of the Athens real estate association. "In a few cases, they buy entire blocks of flats," he said. "Home-sharing has certainly boosted the market." Bank of Greece figures show an influx of 1.35 billion euros in foreign capital for property purchases in 2018, a 172-percent increase over the previous year. Paradias, the homeowners' association chairman, said he knows a woman who recently sold two basement storerooms in Koukaki, to be remodelled as flats. "When she sees them all redone and realises what she's given up, she's going to burst into tears," he said. Dionysopoulou, the lifelong Koukaki resident, also has a flat she could share. But she refuses to evict her full-term tenant, a civil servant, because she feels that would be wrong. "In a country where prices keep rising and wages are falling, how can you bring yourself to raise the rent?" she asked bitterly. "I regret to say, in Greece we do not look at the big picture. We only look out for ourselves."